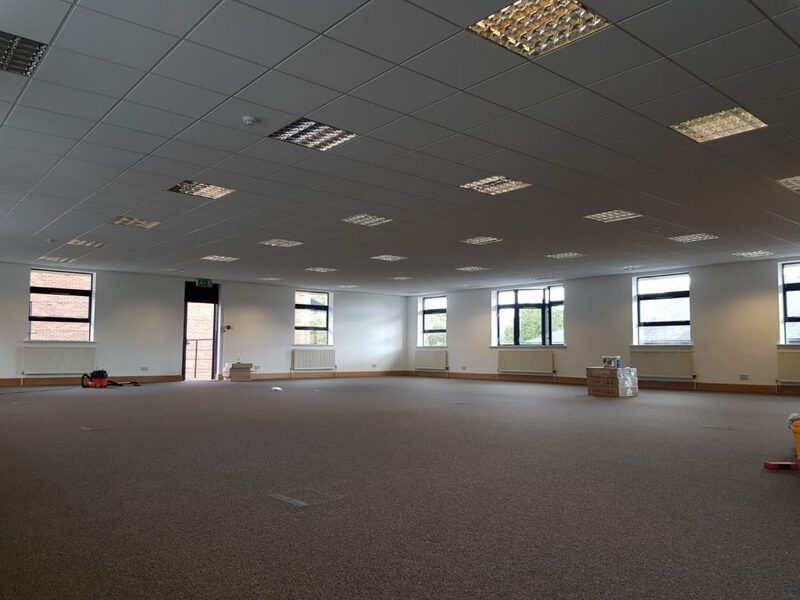 This week, the team at Commercial Electrical have been working on the electrical works on a dilapidation project for a holdings company based at Sandiacre. The team have altered the lighting layout to revert it back to an open plan layout, they have also replaced and relocated floor boxes to suit the client’s preferred open plan layout. We have been working on the electrical elements of a dilapidation project this week.